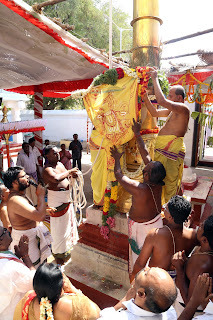 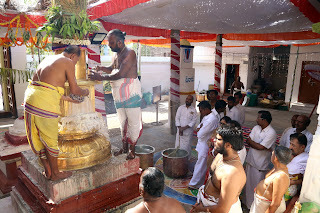 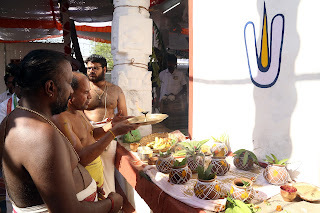 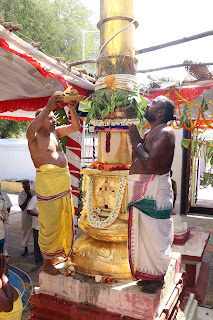 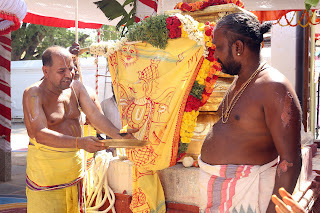 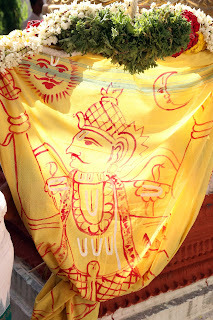 Chandragiri, 15 April 2019; 19The annual brahmotsavams off to a religious start in Sri Kodandarama Swamy temple at Chandragiri with Dhwajarohanam on Monday. 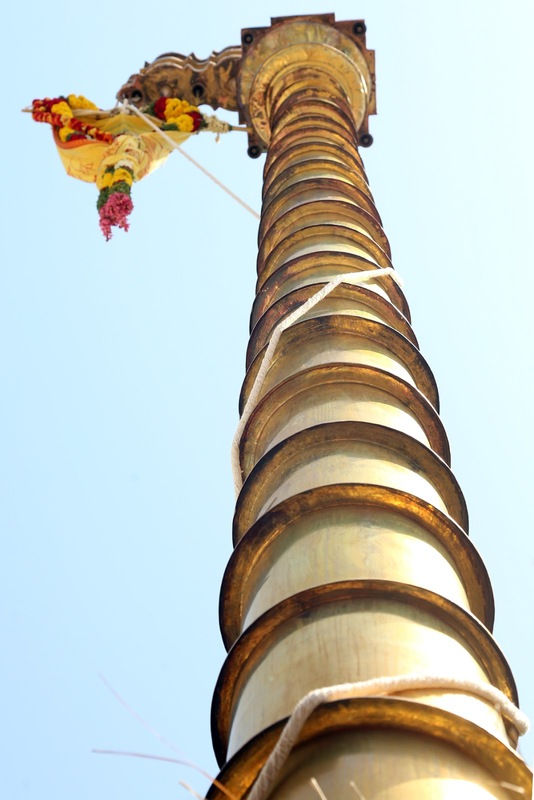 This Garuda flag hoisting ceremony took place in the auspicious Vrishabha Lagnam between 9am and 10am. 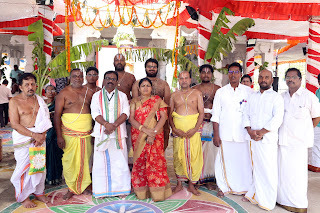 Temple DyEO Sri Subrahmanyam, AEO Sri Nagaraju and others participated.